Course Description: Students will spend 12 to 15 days in tech-ed as 6th graders. They will start by learning safety in a shop environment. 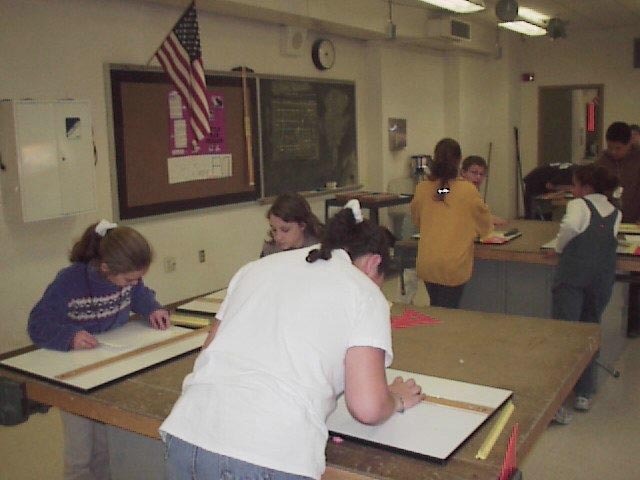 Students will spend several days working with measurements and how to use a ruler correctly. Next, the students will be introduced to the tools used in producing mechanical drawings. They will then spend the rest of the class meetings, learning about and producing 3-view drawings, including dimensions. Students will be evaluated on all worksheets and homework.